A big and bitter double IPA with some citrus and fruit tones to balance out the font end. 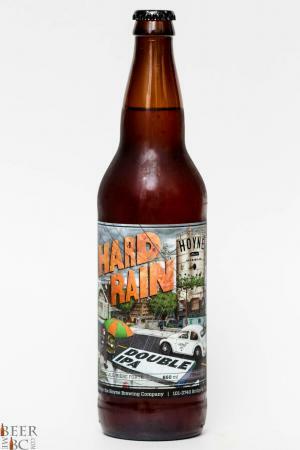 Victoria BC may not see the same amount of rain as Vancouver BC but they see enough to warrant the name Hard rain in the latest Double IPA seasonal release from Hoyne Brewing Company. This big IPA comes in at 7.6% and with Sean Hoyne’s name on the bottle will likely gather quite the cult following. 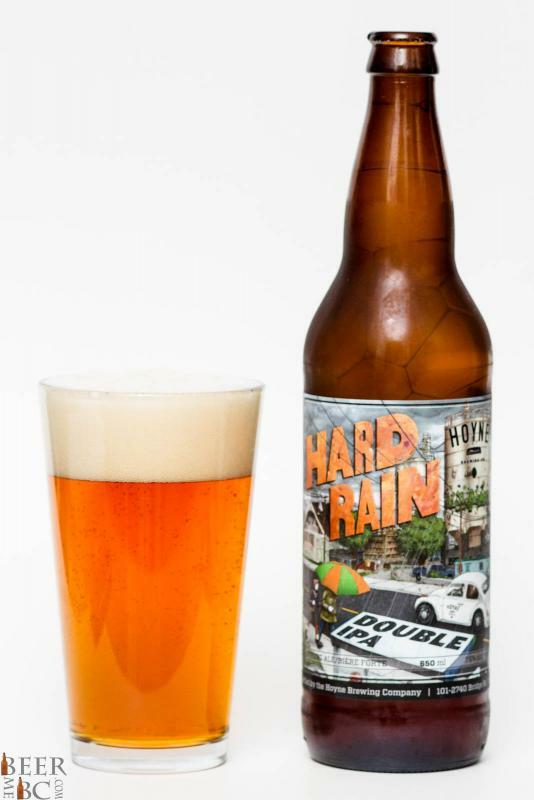 From the bomber bottle the Hard Rain Double IPA pours as a n amber coloured beer. 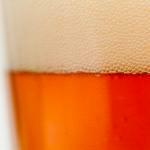 Topped with two thick fingers of cloud-like head a thick and dense lacing is left behind on the glass’s sides. 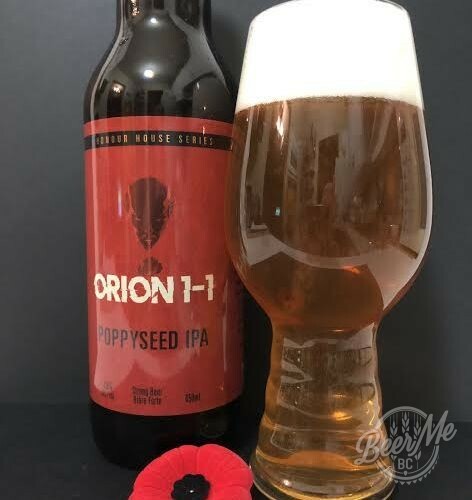 A Piney hop bitterness infused with citrus and tropical fruit hits the nose forecasting a beer with great body, big IPA flavour and a bit on an alcohol kick. 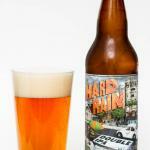 The taste is deeper than expected with a citrus-hop up front along with a slight tropical fruit tone. 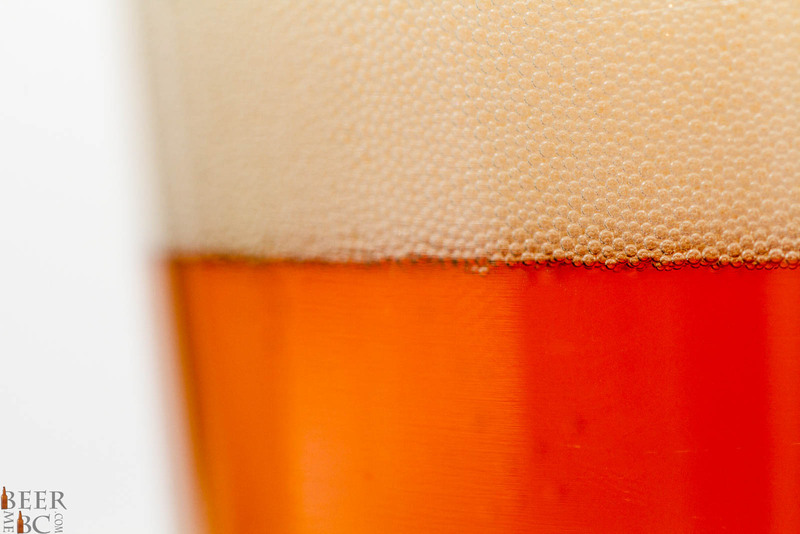 This initial fruit-flavour subsides leaving way for a rather intense hop bitterness. 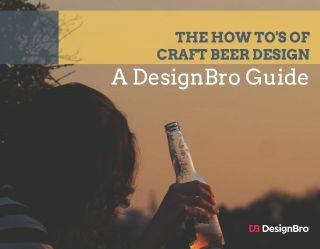 A very big, hop bitterness factor makes this an IPA lovers dream but may scare off some of the IBU-naive. The bitterness factor also helps to mask the alcohol content while remaining smooth and rather delicious. I really enjoyed this double IPA. It may not be as good as Four Winds new double but it is still a very tasty creation.